 The Jam: Just Who Is The Five O’Clock Hero. Poorly lit video of The Jam in concert. Queen: Las Palabras De Amor. Well lit footage of Queen performing in an empty Top of the Pops studio; repeated from the 17/06/1982 edition. 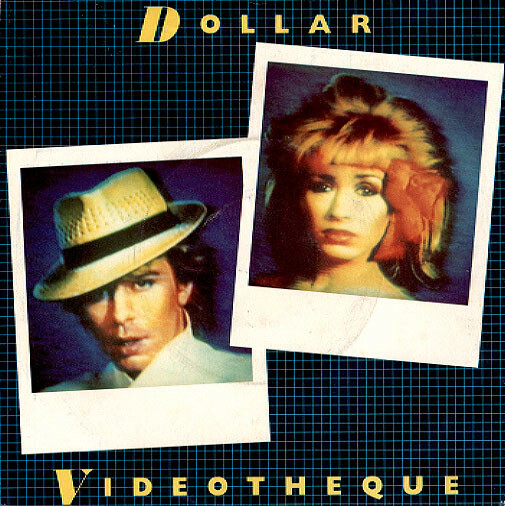 Dollar: Videotheque. Dollar are rapidly turning into the1980s equivalent of The Dooleys. They appear with the tedious inevitability of an unloved season (©Hugo Drax 1979). Their songs are never actively bad just unremarkable and they blend into stodge in the memory. The presentation at least is interesting. Large 1984 Big Brother style screens have been hung on either side of the stage and they show close-up footage (recorded separately) of David Van Day and Thereza Bazar. Presumably the person in charge of naming the BFI's Mediatheque was a big fan of this song. Cheri: Murphy's Law: Now it's Zoo's time to shine. Are they breakdancing in a post-apocalyptic rags 'n' leather look again? Have they dusted off an old Leg & Co routine? No they've gone old old school and exhumed a Ruby Flipper routine. If this was 1976 Floyd would have been the one exiled behind the screen to do the silhouette routine. Actually, this isn't too bad. The silhouette stuff looks good and there's some nice business with rotating scenery flats. The only thing which really lets the routine down is the way the scenery wobbles as the dancers spin it around. Midge Ure: No Regrets. Distractingly the opening of this video is squeezed into vertical widescreen for some reason; like trying to watch a Youtube video recorded in profile rather than landscape. When the picture pops back into a regular 4:3 shape it's as if it has suddenly taken in a big gulp of breath. There's a very striking image of Midge Ure threading his way through a line of swinging lamps. It's a disappointment then when the very next shot reveals that this image was just a camera angle trick and the lights are all suspended a safe distance above his head. Presumably no one wanted to risk Midge Ure from being clonked on the side of his face. 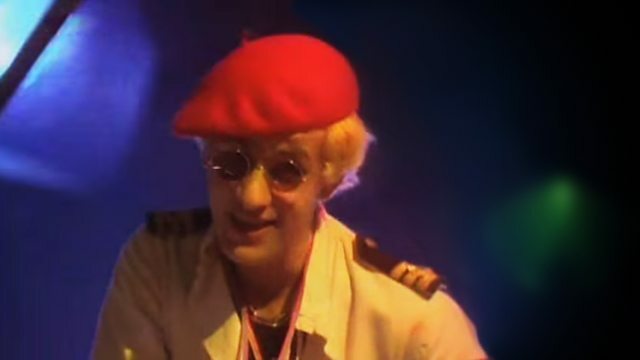 Captain Sensible: Happy Talk. 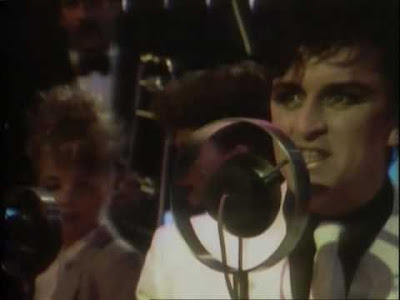 "I was the first person to play it on the radio," boasts John Peel referring to this song. Pop quiz hotshot: you're the costume designer responsible for this edition of Top of the Pops. What do you do? If you said sailor suits for the men, and grass skirts and Hawaiian leis for the women then congratulations you are the new Top of the Pops Costume Designer and need to report to 1982 forthwith. Bonus points if you remember to hand out a couple of frightening fish head masks and something which looks like a diseased elephant but is more likely -on balance of probabilities- some sort of octopus headpiece. Natasha: Iko Iko. Natasha returns but this time wearing a short white dress instead of a little black number; plus ça change, plus c'est la même chose.